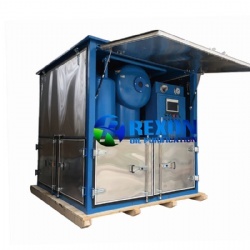 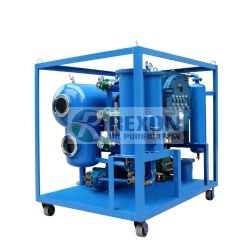 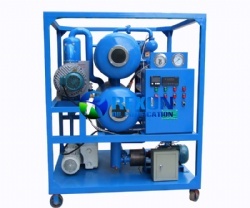 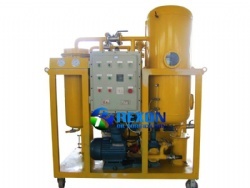 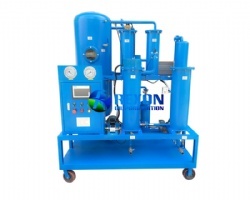 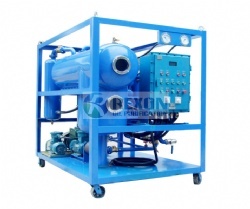 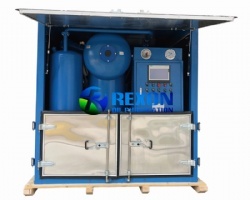 Rexon TY High Vacuum Turbine Oil Regeneration System is specially used for used turbine oil regeneration and recycling. 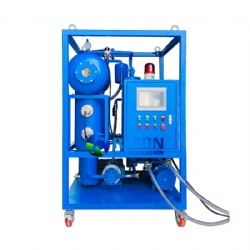 It's a very necessary turbine oil cleaning maintenance system for use. 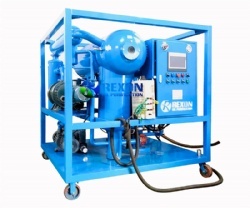 Rexon TY High Vacuum Turbine Oil Regeneration System is specially used for used turbine oil regeneration and recycling. 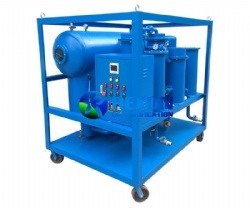 Since turbine oil is often exposed to high temperatures that can cause sludge and varnish formation, which may cause big problems and damage to the turbine oil and turbine system. 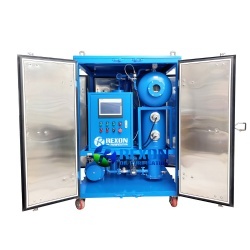 So used turbine oil have a lot of emulsified water, impurities, gas, air, and acidity matter content in oil, which is very bad effect to oil property. 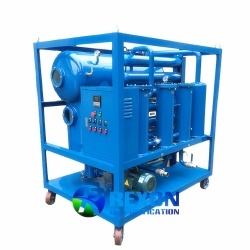 Turbine oil regeneration system can remove free and emulsified water, gases and particulates from turbine oil fast and completely. 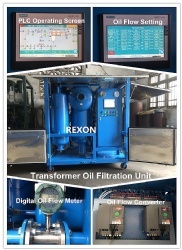 So it’s indeed very necessary to do a regular oil purification and oil cleaning maintenance for contaminated turbine oil. 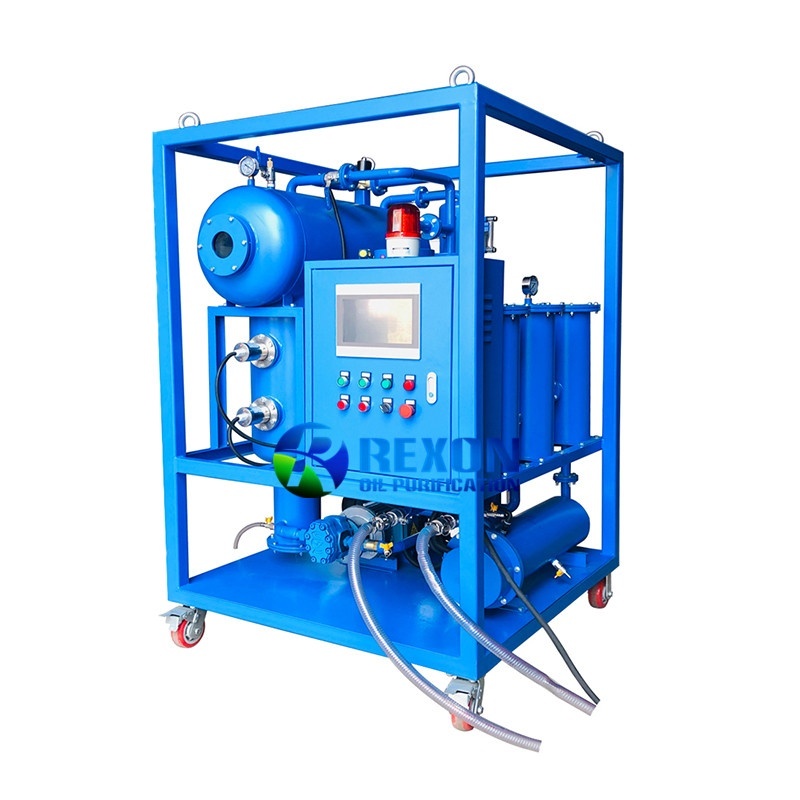 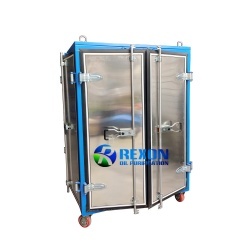 Rexon TY High Vacuum Turbine Oil Regeneration System breaks emulsification thoroughly, and the oil is very difficult to emulsify again after treatment. 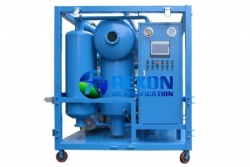 Its dehydration volume is large and it can absorb water on line. 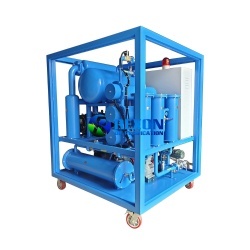 TY series, which prevent lubrication system from damage, can effectively extend the lifetime of oil and protect turbine and other machines. 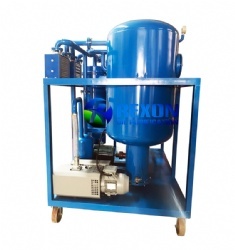 It is widely applied to turbine, gas turbine and hydraulic turbine online oil treatment in the power, chemical, paper making and metallurgic industries. 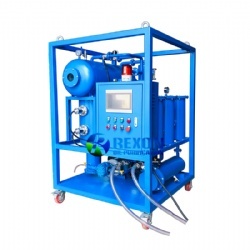 This series, which can rapidly and effectively remove the water, gas and impurities aiming at turbine oil’s nature of high water content, easily emulsified and high impurity content, make the oil reach new oil standard.